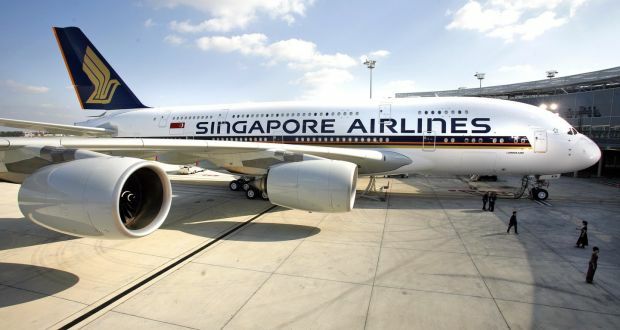 Singapore Airlines is the latest carrier to overhaul its fare structure, offering new pricing tied to the level of service and amenities included. The Asian carrier’s announcement comes after Delta, American and a couple of other carriers decided to roll out basic economy-type pricing for international travel on some transatlantic and Latin American routes. Airlines are adding these new fares to beat back competition from the new generation of ultra-low-cost international carriers such as Wow and Norwegian in Europe, and Air Asia, Tiger and Peach in Asia. Effective January 20, Singapore and its SilkAir affiliate will introduce the new pricing on all tickets sold worldwide. The biggest changes are for those flying economy class. The change will bring a selection of three fare types for economy class travelers, called Lite, Standard and Flex. Those buying the cheapest fares – Lite – will incur a US $5 charge for advance seat selection i.e., more than 48 hours before departure — except for families traveling with children. Standard and Flexi fare buyers won’t see a seat selection fee, but Standard purchasers will face an unspecified new fee if they select forward zone seats which are in higher demand, the airline said. Buyers of Flexi fares in economy class will get an increased checked bag allowance of 35 kg. (77 lbs. ); it will remain at 30 kg. (66 lbs.) for the other two fare types except on U.S. routes, where the piece concept is unchanged. Reservations booked with Lite fares can’t be canceled, and changes will incur a fee. Cancellation and change fees will apply for Standard fares; Flexi fare buyers will get free changes but will be charged for cancellations. The level of the fees may vary and is subject to change, the airline said. For members of the airline’s KrisFlyer loyalty program, only Flexi fare purchasers in economy class will get 100 percent credit for mileage flown. It will be 75 percent for standard fares and 50 percent for Lite fares. Premium economy seating will have two fare classes – Standard and Flexi. The only difference is in the level of miles earned – 125 percent for Flexi fares and 100 percent for Standard. Business class will also have Lite, Standard and Flexi fares, with KrisFlyer mileage accrual set at 125 percent for Lite and Flexi, and 150 percent for Flexi. Advance seat selection remains free and baggage allowance (40 kg./88 lbs.) is unchanged. The airline didn’t indicate what the pricing differential would be between the new fare types.